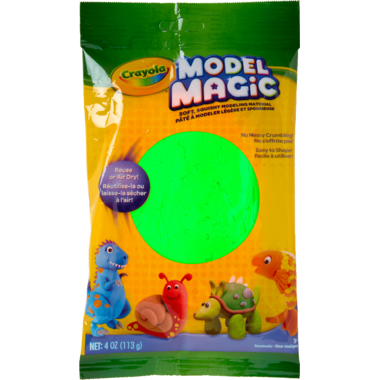 Crayola Model Magic is an innovative, fun modeling material that air dries in 24 hours. The special formula does not crumble and is mess-free. Projects can be decorated with paint, markers and decorative glues.